IDEA is one of the world's largest exhibitions of nonwovens & engineered fabrics. The exhibition is hosted by the American Nonwoven Industry Association. It is held every three years in the United States. It is called one of the world's three major non-woven exhibitions, and the others are INDEX in Swiss and ANEX in Asia. 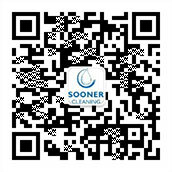 © Copyright 2017 www.soonercleaning.com. All Rights Reserved.